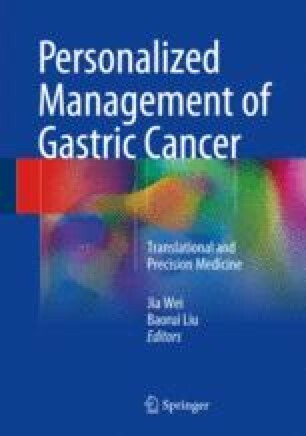 Peritoneal dissemination is one of the most common metastatic methods of advanced gastric cancer. Radiotherapy has a positive effect for the prevention or treatment of peritoneal metastasis of gastric cancer. Preoperative neoadjuvant radiochemotherapy and postoperative adjuvant radiochemotherapy can effectively reduce the risk of peritoneal metastasis for patients with locally advanced gastric cancer. For patients who already have peritoneal dissemination, local palliative radiotherapy can effectively relieve the symptoms of local compression and reduce pain. Over the past decade, there are many developments for radiotherapy. Helical tomography, proton radiotherapy, intraoperative radiotherapy, and other new technologies have been used in clinical practice. These clinical applications improved the response rate and reduced adverse reactions for radiotherapy and finally bring benefit to patients.